“I wake up every day with a vision and will for renewal”. This is one of the first things Eti Peres, one of the owners of Lusky Hotel, told me. And the mission I received from her: to translate this need for renewal into a new chapter for her hotel. 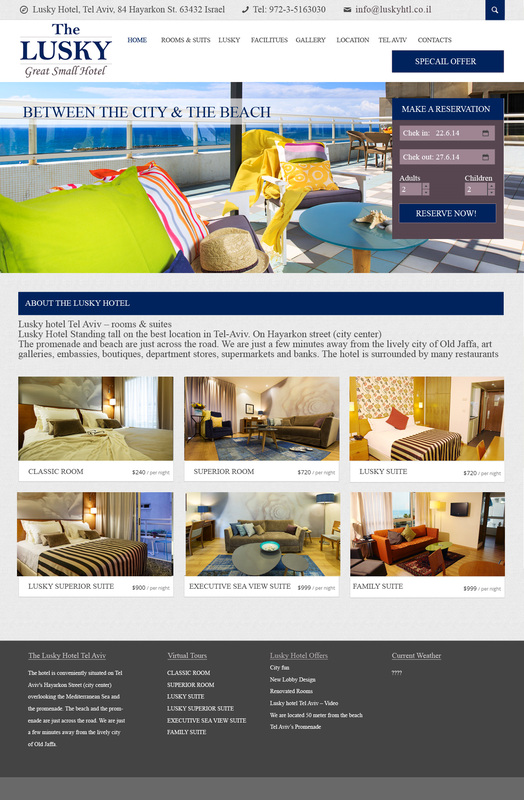 Lusky Hotel’s makeover process is still underway, but I would like to share with you what we have accomplished so far. 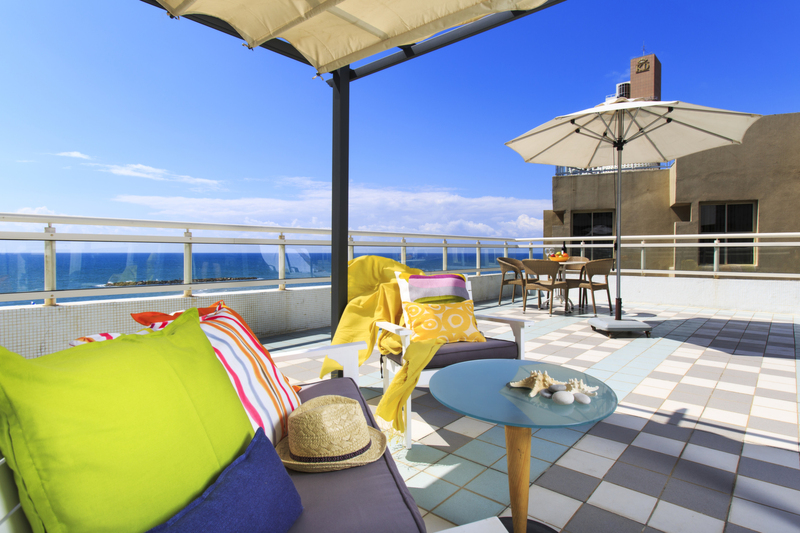 Lusky is small hotel (27 guest rooms, several suites) on Ha’yarkon street in Tel Aviv. The budget for this renovation is very limited, but we managed to accomplish a lot with good ideas and especially with emphasis on exceptional execution. One of the most important things we did was link the hotel to its excellent location – right by the beach. Lusky is located in a very competitive area, but was not differentiated from other hotels in its vicinity: it did not offer a design, service or any other experience that would make it stand out. One of my main goals was to create this differentiation, by creating a personality for the hotel: Creating a brand with a personality, just like a person’s; Creating a story for the guest. In addition, the prime location by the beach was not present inside the hotel. Together with architect Ruth Arad and Anat Gafni’s branding company (Fresh), we created a renovation and rebranding plan that links the hotel to its surrounding – mainly the beach. Sense of sight – color scheme of the sea. 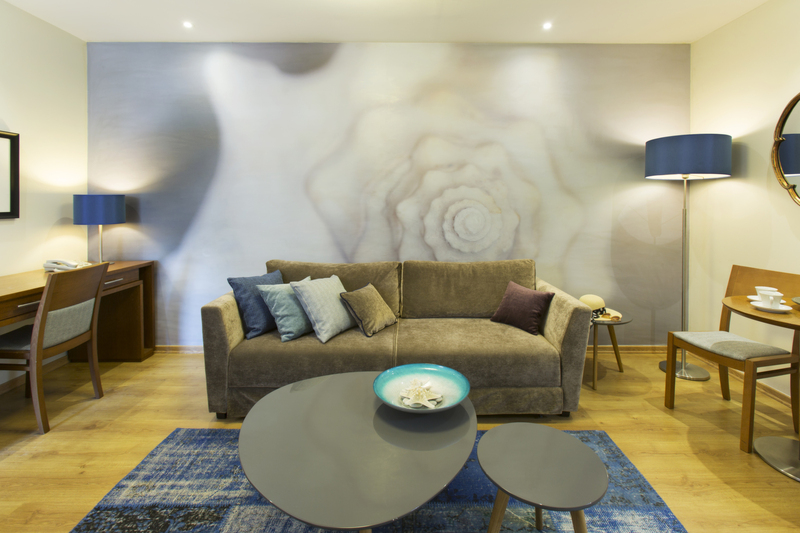 The element of the sea shell that became central in graphic elements throughout the hotel. Sense of Taste – culinary line that includes seafood. Renovated guest room: the sea enters the design through the use of blue and the seashell element. The design plan includes renovating the guest rooms, redesign and bring into use the patio and the rooftop, rebranding and new graphic materials – print and digital. All this was planned in order to create a new message and story around the hotel. We also refreshed work procedures and operational processes. I am sharing with you a project that is still an ongoing process : a real makeover that includes a new look a rebranding that will enable hotel managers to ask for a higher premium on their price and will improve the hotel’s business results. 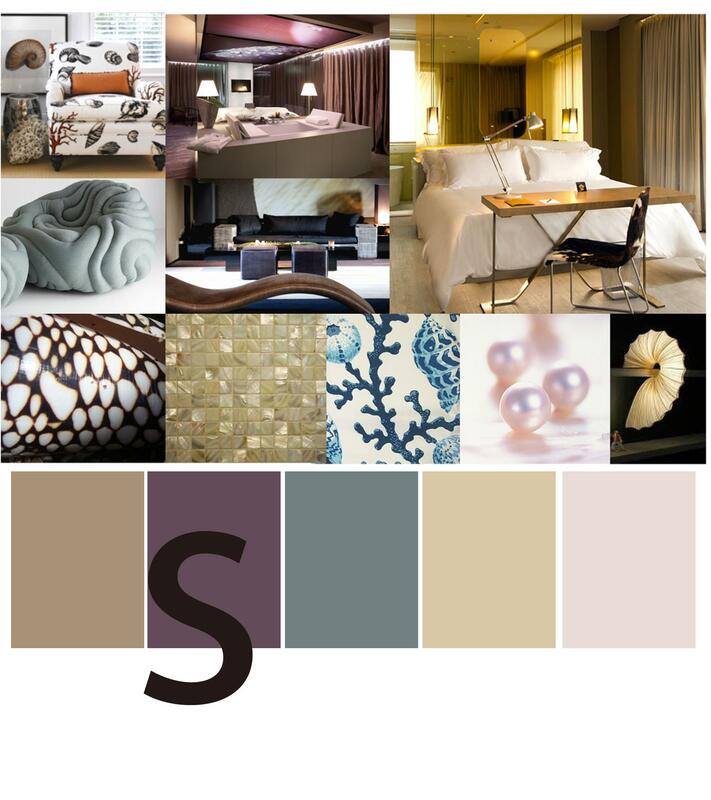 The color scheme and graphic elements that were the inspiration of the redesign of the hotel, as well as graphics for marketing materials.